The Yulisa Amadu Maddy Award in creative writing was launched by founder Nadia Maddy at the Mboka Festival 2018 on January 15, 2018. Yulisa Pat Amadu Maddy was born in Freetown, Sierra Leone, where he grew up until the age of 22 when he travelled to France in 1958 and then Britain. He started broadcasting in Britain and Denmark, writing and producing radio plays. His early plays, initially produced on the BBC African Service, were published as Obasai and Other Plays (1968). In the mid-1960s he lived in Denmark, where a book of his poetry, Ny afrikansk prosa, was published (1969). On his return to Sierra Leone in 1968 Maddy became Head of Drama on Radio Sierra Leone as well as founding the theatre company Gbakanda Afrikan Tiata the following year 1969. 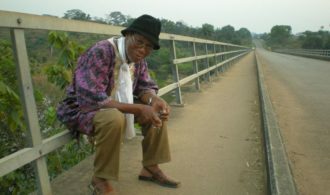 He subsequently worked in Zambia directing the national dance troupe and taught drama in Nigeria, at the University of Ibadan and the University of Ilorin as well as in the USA. His first novel, No Past, No Present, No Future, explored the dynamics of a group of three friends (including, controversially, at the time, one gay man) growing up in colonial West Africa and their physical, psychological and emotional journeys to Europe. It was published in 1973, to great acclaim in the Heinemann African Writers Series, and his writing continued to develop. His work, which is often challenging and confrontational led to his political imprisonment in Sierra Leone. Upon his release, he was forced to leave the country and become a political exile. In 2007, Maddy returned to Sierra Leone to teach and continue his academic research of exploring and developing Sierra Leone’s cultural heritage, providing inspiration and opportunities to a new generation of artists and performers, and continuing to give a “voice to the voiceless” through the work of his Gbakanda Foundation. After a long period of illness, he died in March 2014, aged 78. Nadia Maddy, who was one of his children and lived with him in the UK for a period, introduced the audience at the African Poetry Library in Banjul, The Gambia to a driven man whose focus was on his work at the expense of everything else including his rapidly growing family. Anderson Vandy Lansana and Saffie Koroma. She introduced the Yulisa Amadu Maddy Award in Creative Writing which was opened for students in Sierra Leone in 2014. The competition, which is open to students 11 to 18 years old, was founded to provide opportunities for young people in Sierra Leone and continue the Professor’s legacy. The competition which was started in 2014 is run by PEN Sierra Leone with the winner getting 100 UK pounds and the second getting 50 pounds and the third getting 30 pounds. Maddy would then go on to announce that the Gambia edition of the prize would be started officially in the next year and the students could now enter the competition. We will be keeping you abreast of the happenings from the competition going forward.